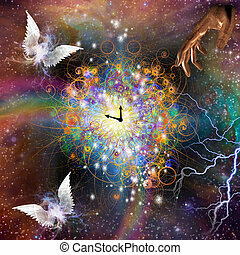 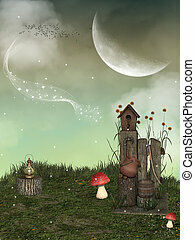 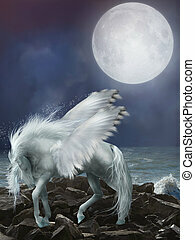 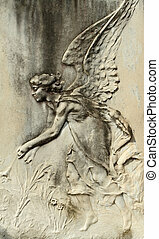 Winged angel. 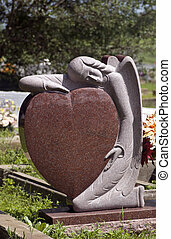 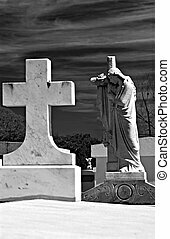 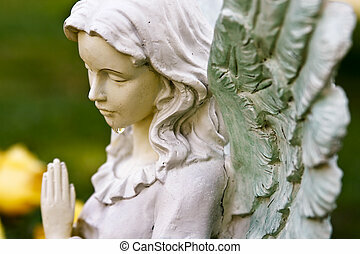 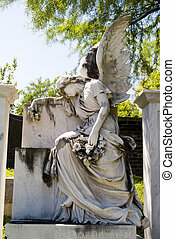 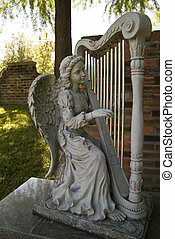 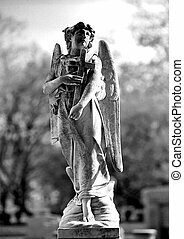 Series of cemetery angels and monuments from new orleans and houston. 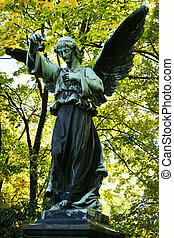 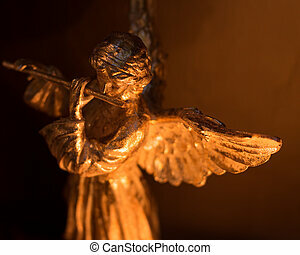 Close up color shot of Angel statue. 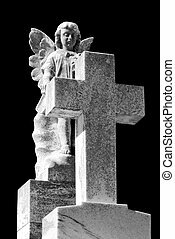 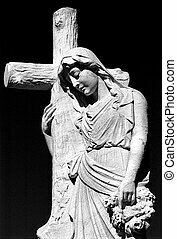 A small cemetery angel behind a cross, both made of stone which is very old and weathered from years of exposure to the elements. 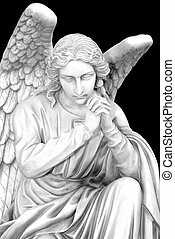 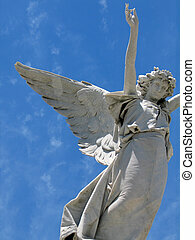 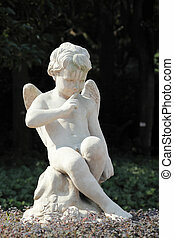 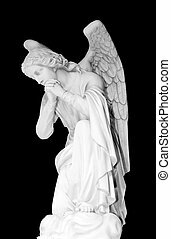 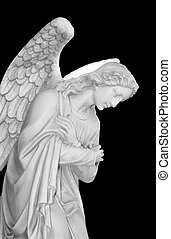 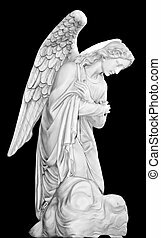 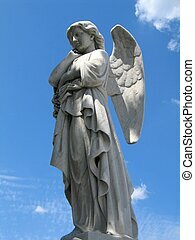 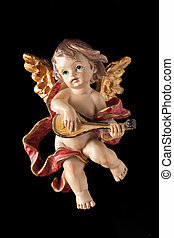 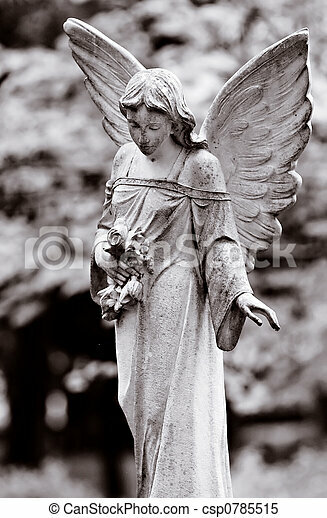 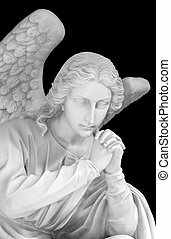 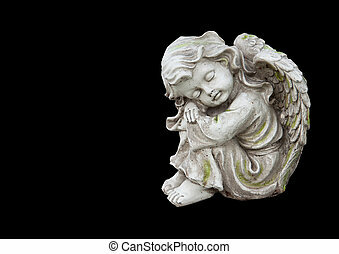 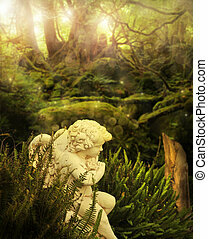 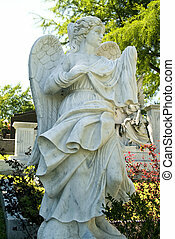 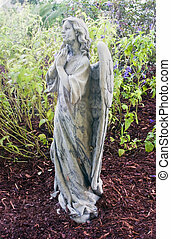 A lovely statue of a winged angle carved from white marble. 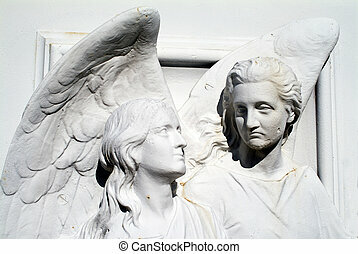 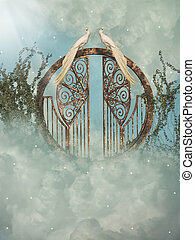 Cemetery angels made of painted over cast iron mounted on a door to a tomb. 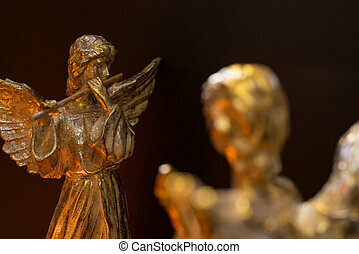 The angels have some rust.